Capture more photos, record more Full HD videos, and play more music on your mobile phone with reliable SD microSDHC mobile memory cards. By adding more memory to your mobile phone, you can transport and store more photos, Full HD videos and music – so you can get the most out of your mobile phone. 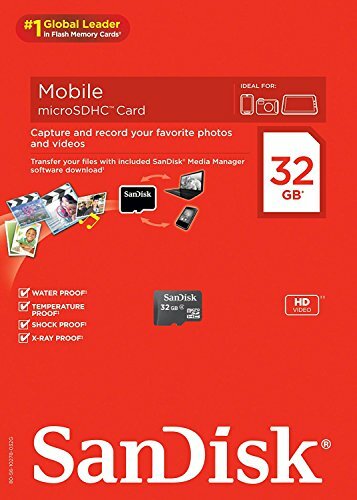 Do more with SD mobile memory cards.SD brings to you the SD 32GB Class 4 microSDHC Memory Card that lets you save thousands of songs, pictures and even High Definition videos without affecting the quality of the videos. This memory card allows you to save a lot of photographs, songs, videos and many more downloads that you’d like to browse and play on your smartphone or tablet. There’s enough place for videos recorded using your gadget. 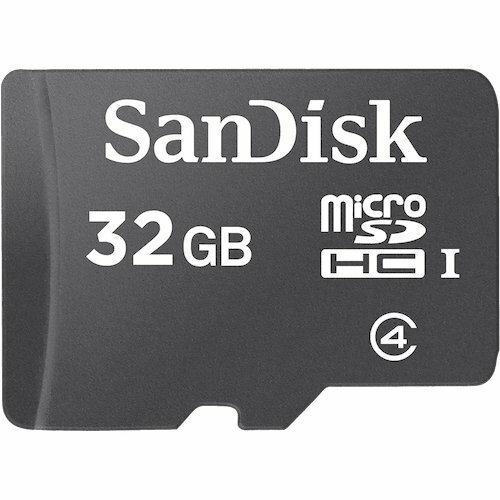 Enjoy your favourite music or videos store all that you need at hand on this 32GB microSDHC card.Designed to withstand tough conditions, this SD 32GB microSDHC memory card keeps your data safe and secure in even the most adverse situations. 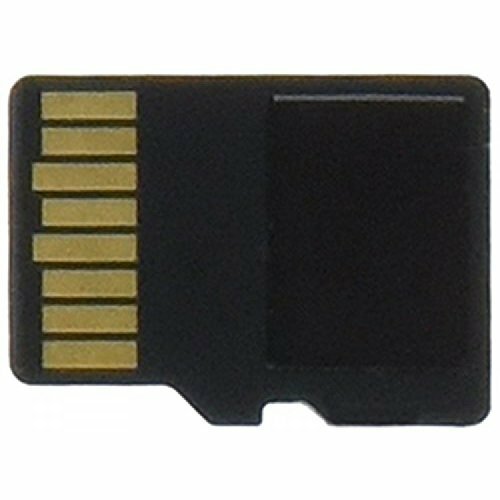 This memory card is very durable and can function normally even after exposure to X-rays, heat from 13 to 85 degree Fahrenheit, cold up to -25 degree Celsius. Tough as it is, this SD memory card is shock-resistant and water-resistant. No matter, where you take this memory card along, you won’t have to worry about your data being lost because of physical damage to your memory card.